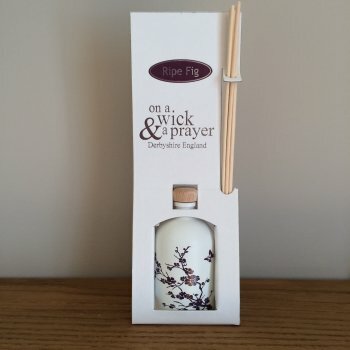 We are delighted to introduce you to this luscious fruity fragranced reed diffuser. Available in a 100ml china bottle with pretty branch motif and already gift boxed this would make a wonderful present. The diffuser has been designed to last up to 12 weeks and is therefore a safe and long lasting way of bringing fragrance to your home. We accept most major credit and debit cards allowing customers to choose their payment options. Payments are provided by Worldpay which goes through a secure checkout.